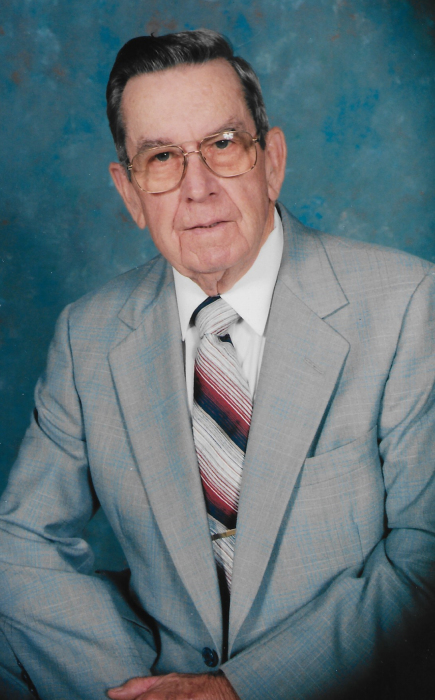 Clifton Randolph Hood, Sr., 94, of Dover passed away on Tuesday, March 19, 2019 at his home. Randolph was a loving husband, father, grandfather, brother and friend. He served his country during World War II with the United States Army. He retired from the NC Judicial System as a Superior Court Reporter. After his retirement Mr. Hood enjoyed working outdoors and was well known for finding things to do. Randolph was always willing to lend a helping hand and was loved by all and will be missed by many. He was preceded in death by his parents, Thomas and Maude Hood; daughter, Karen Denise Hood and several siblings, Pauline, Mildred, Thomas Leroy, James Eugene, Mary Jane, Hope, Ray Hampton, Edward Cornelius, Iris. Randolph is survived by his wife, Faye White Hood of the home; daughter, Wanda Edinger of Durham, son, Clifton Randolph “Randy” Hood, Jr. of Kinston; grandsons, Brett Randolph Hood of La Grange and Landon Scott Hood of Cary; sisters, Rose Marie Zoellner of VA and Geraldine Albertia of FL. Memorial service will be held 2:00 p.m. Friday, March 22, 2019 at Garner Funeral Home.